If you are interested in our Kids Martial Arts Program, please Click Here or interested in our Women Only Jiu Jitsu, please Click Here. 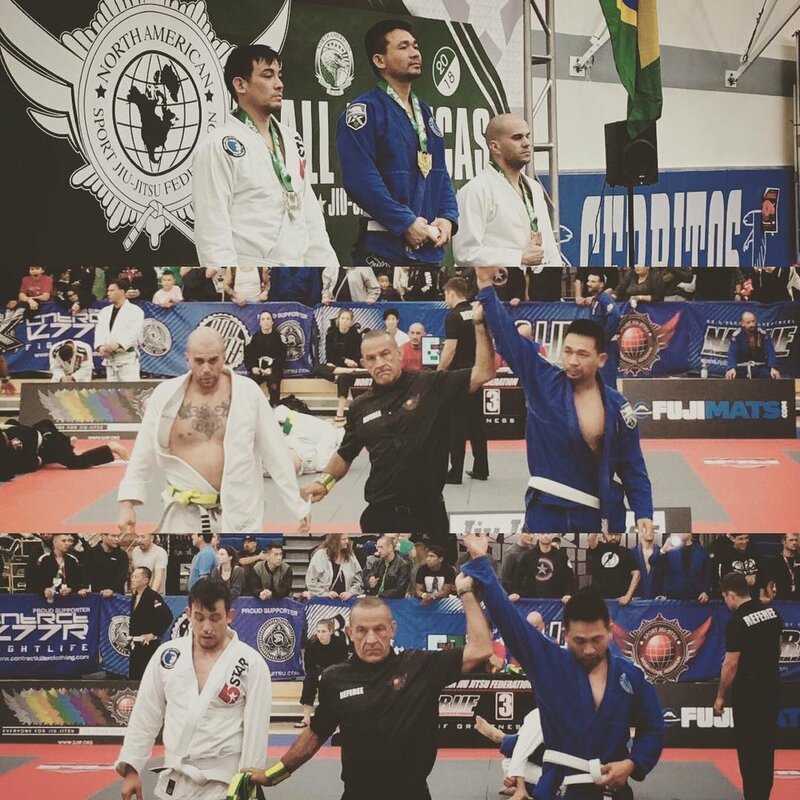 Do You Want To WIN Brazilian Jiu Jitsu And Grappling Tournaments? have a burning desire to WIN Grappling Competitions. Pacific Top Team Brazilian Jiu-Jitsu & Mixed Martial Arts Academy has guided many individuals just like yourself to get in great shape, become more confident and disciplined, learn Brazilian Jiu-jitsu & Mixed Martial Arts (MMA), and be part of the #1 Brazilian Jiu-jitsu and Mixed Martial Arts Academy in Corona, CA (whether they want to become a fighter or not). Learn what we can do for you by giving our proven program a shot for 30 Days 100% FREE! Our competition team program is perfect for the competitive athlete that is looking to take his or her game to the next level. This program focuses on Jiu Jitsu as a sport and is geared toward getting our competitors ready for tournaments. It features hand on coaching that will help each student find and develop his or her personal skills. Professor Juan Pablo Garcia is the owner and head coach at Pacific Top Team Brazilian Jiu Jitsu here in Corona, but many don't know his own journey in Jiu Jitsu. We sat down to learn some more including how he started in this art, his journey and why he is so passionate about teaching. Professor JP started Martial Arts at the age of 13, training boxing and judo as jiu jitsu was not prevalent in Ecuador, JP's hometown at the time. JP Saw the first UFC, where Royce Gracie beat bigger opponents with Jiu Jitsu and knew he wanted to train this martial art, so his search began. Initialy he trained Judo because he couldn't find Jiu Jitsu in his hometown. After training Judo for a year, he began training at a school named Bidokan, a mixed martial arts school affiliated with Royce Gracie and participated in MMA. He attended a seminar with Royce Gracie, who gave him his blue belt after seeing him at the age of 16. In his search to pursue more Jiu Jitsu he traveled to the US and Brazil for seminars and competitions. Since there was not very many instructor in jiu jitsu in Ecuador, he would bring back what he learned to teach friends. Professor JP was always traveling and searching to learn and expand his Jiu Jitsu and traveled and trained with well known Jiu Jitsu practitioners like Draculinho, Marcio Simas, Cobrinha, Marcelo Garcia, Daniel De Lima and many others in Brazil and USA. He competed in Worlds the last year they were held in Brazil as a purple belt. After the Worlds in Brazil, he traveled back home to Organize the first grappling tournament in his home town city in Ecuador. He helped Found Gracie Barra and was responsible to establish various other Jiu Jitsu Teams in Ecuador. After many years helping to establish schools in Ecuador, he started to focus on his own career and pursue achieving his black belt in the United States. From Ecuador, he traveled to Florida to train. Then spent 2 years in New Mexico training with multiple time world champion Roberto Alencar and received his brown belt. In 2010 he moved to LA to start teaching in multiple Gracie Barra schools and received his black belt in 2011 and his first degree from the legendary Master Carlos Gracie Jr. in 2014. Traveling so much during his own Jiu Jitsu Journey exposed him to many instructors, teaching methods and styles. This experience prompted him to fond Escuela de Jiu Jitsu which teaches courses on how to run Academies, equipping others with the tools they need to be successful and follow their dreams of opening their own schools. Since he didn't have any guidance, he is passionate about providing it for others. Professor JP has a deep love for Jiu Jitsu and says it changed his life in a positive way and brought him more focus and discipline. 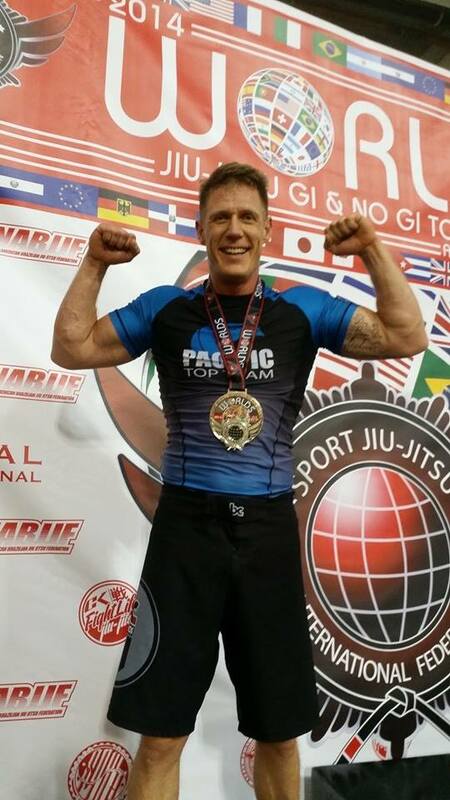 Competing and traveling has helped his to face his fears, meet new people and help others have the positive change that Jiu Jitsu brings to lives. He loves to teach, build up and empower others to become instructors as well. Multiple times NAGA (NORTH AMERICA GRAPPLING ASSOCIATION) CHAMPION. Multiple times International Brazilian Jiu Jitsu Federation (IBJJF) Champion. Multiple Times North American Brazilian Jiu Jitsu Federation Champion. Owner & Head Instructor at Pacific Top Team Brazilian Jiu Jitsu in Corona with Affiliations in Germany, Chile, Ecuador and Nicaragua. Pioner of BJJ in Ecuador - Organized the first Brazilian Jiu Jitsu & NO GI Competitions in the Country. The above may be an impressive background, but in reality, what Professor JP has done personally doesn’t have all that much to do with making you good. This isn’t about Juan Pablo Garcia – this is about YOU and YOUR goals and YOUR dreams. WHEN YOU ARE LOOKING FOR THE CORRECT PLACE TO TRAIN YOU NEED TO ASK A COUPLE QUESTIONS. WHAT DOES COMPETITION TRAINING LOOKS LIKE? WHAT THEIR STUDENTS HAVE DONE IN COMPETITION? At Pacific Top Team Corona we use a proven curriculum system to teach our students. Each class is structured so students of all levels can learn and retain the techniques taught. Our competition team classes feature hard drilling, competitive sparring, and conditioning. 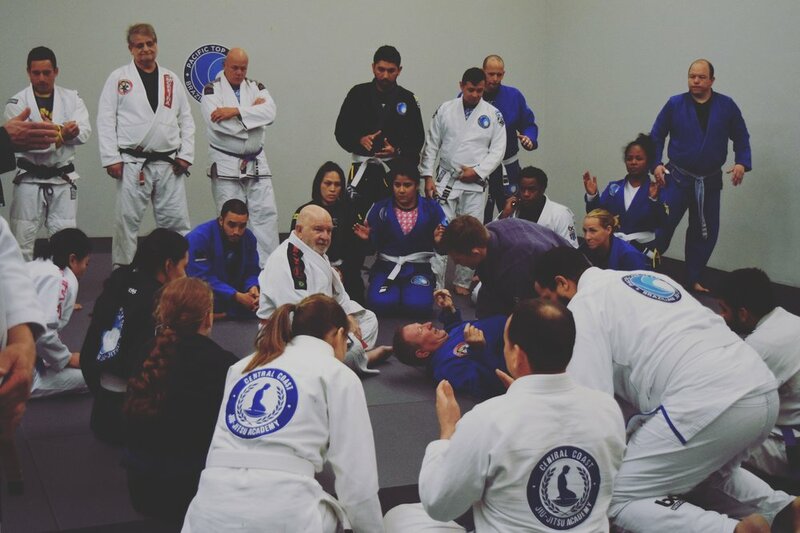 WE CONTINUE TO GROW OUR SYSTEM BY BRINGING THE HIGHEST LEVEL OF INSTRUCTION TO THE ACADEMY BY SEMINARS AND JIU JITSU CONNECTION SUPER ROLLING EVENTS WHERE OUR ATHLETES GET A LOT OF EXPOSURE TO NEW TECHNIQUE AND SPARRING. WE TAKE PRIDE ON OUR MISSION OF MAKING THE WEAK STRONGER! Kimberly Pruyssers: #1Ranked Female Master1 Purple Belt by the IBJJF. Kim is a single mom of 4 working full time who joined is has been a part of a our Competition program since 2015. Through training in our Competition Program, Kim now is a 2x European Purple Belt Champion 2018, World Champion in the SJJIF weight and Absolute, Jiu Jitsu World League Champion weight and Absolute, IBJJF Panamerican Silver Medalist to name a few. She earn her Purple in less than 3 years and has become the Women Only Jiu Jitsu Program's Head Coach at Pacific Top Team Corona. Coach Felipe American Nationals Silver Medalist, Russell, Sophia & Stephanie American National Champions! Pacific Top Team Jiu Jitsu Corona student Gina Zika taking Gold at the 2017 SJJIF Worlds Tournament. Enter Your Info Below & Get: √ Free 30 Days Training, √ Free Uniform, √ Free Fitness Evaluation, √ Free 1 on 1 Private Lesson!